BLACKWOOD’S FRIDAYS – a promotional campaign at the Blackwood’s retail garden stores in Pietermaritzburg and Howick. The first Friday of every month is “BLACKWOOD’S FRIDAY”. This means a 10% discount deal off every purchase made on BLACKWOOD’S FRIDAY – only valid during advertised trading hours on the day. the stores are merchandised to advertise and accentuate the day. 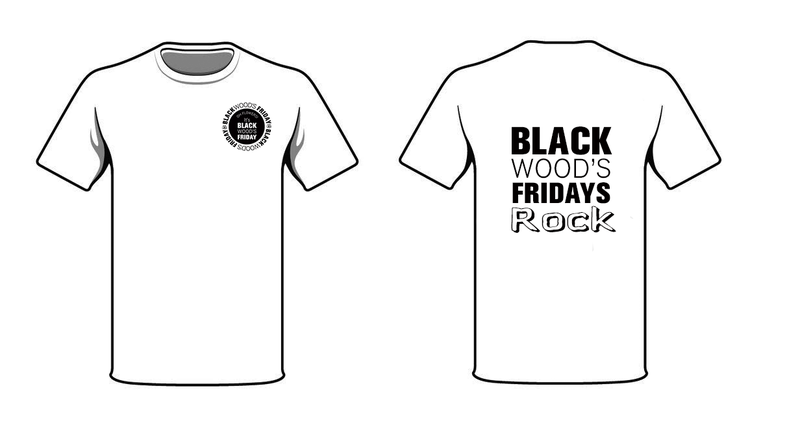 What’s more, customers can buy branded BLACKWOOD’S FRIDAY T-shirts for their own wearing. The major benefit with wearing one of these T-shirts on a BLACKWOOD’S FRIDAY, is an additional 5% discount off on the day. Any shopper wearing “the T-shirt” on a BLACKWOOD’S FRIDAY gets 15% off their entire purchase at Blackwood’s. A great way to have fun and save whilst enhancing your garden and home surrounds. So come on in and join us! There are lots of lovely plants for the garden and goodies for decorating, digging and just making your life a whole lot prettier.